With a business background of over 18 years in corporate level Human Resources Management, Jalia Pettis has used her experience to create a powerhouse company in the fashion and beauty industries. Created in 2006, 3Jay Productions specializes in catering to the fashion world and beauty industries by providing a spectrum of services including imaging, brand management, event planning, art direction and public relations. Describing herself as a Fasionpreneur, Jalia wears many hats, one of a mother, daughter, sister, friend, manager and make-up artist. 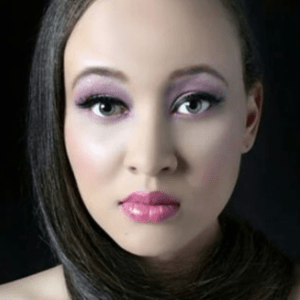 At the young age of four, Jalia was introduced to the world of beauty and fashion, having attended several modeling schools and was eventually signed to a local agency in her adolescent years to begin her career. In her younger years, Jalia was part of a military family, so she traveled the world to places like Hawaii and Japan, which influenced her style. As a young adult, Jalia began working in the Human Resources Management field and soon began to want something more. In 2006, she started 3Jay Productions, which is a multi-faceted firm consisting of a group of professionals, each offering something new and exciting to the day to day operations of the company. Jalia worked to create a business that would focus on the beauty and fashion industries, offering several levels of services to cater to a broad spectrum of companies and individuals. The very next year, she used her talents to create an event known as StyleExhibition, which was considered the premier fashion event in Columbia, South Carolina. The event has since been rebranded to a team of licensed fashion and beauty experts who travel along the West Coast offering services. In 2008, Jalia decided to go a step further with her career and become a freelance makeup artist. It took a lot of trial and error and mentoring before Jalia was able to see success in this area of her endeavors. She studied overseas via a makeup artistry school and attend fashion events, photo shoots and took part in marketing campaigns to hone her skills. She eventually relocated to Arizona from South Carolina and by 2014, realized that she needed to do something to set herself apart from the rest. That year, Jalia attended Penrose Academy to study Esthetics and was able to graduate at the top of her class. By the next summer, she received the Beacon Award via the Professional Beauty Association and in May 2017, she was a Finalist for Makeup Artist of the Year for the North American Hairstyling Awards. Today, Jalia is a Licensed Esthetician and Professional Makeup Artist who offers services to assist clients in maintaining healthy skin, the skin that is below the glamour and glitz of makeup. This year, she began to focus on a new chapter in her career, focusing on working as a platform artist, an educator during ISSE Premiere Orlando and returning to work at Beacon. Jalia also teaches at The Skin & Makeup Institute of Arizona.